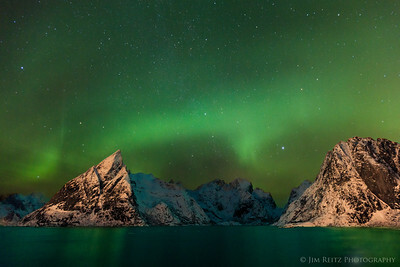 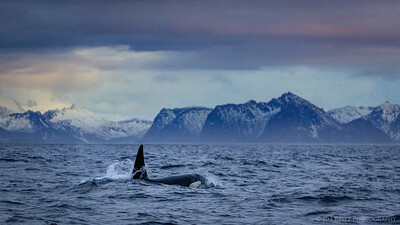 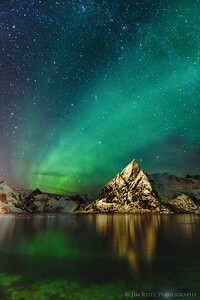 Aurora Borealis in Lofoten, Norway. 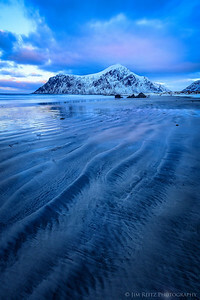 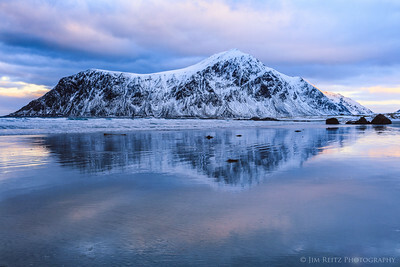 Reflection at Skagsanden Beach - Lofoten, Norway. 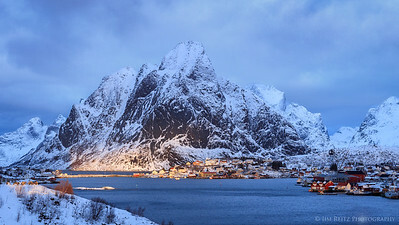 Sunlit peaks and fisherman's drying racks - view from the village of Reine in Norway's Lofoten archipelago. 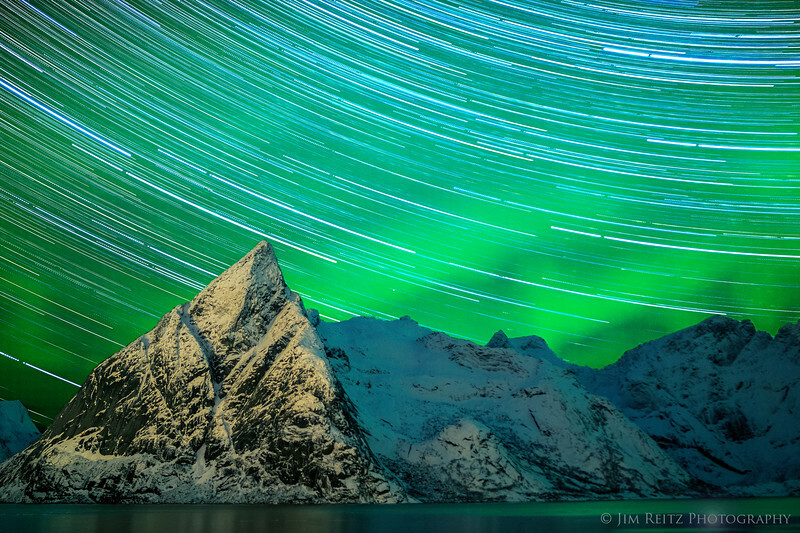 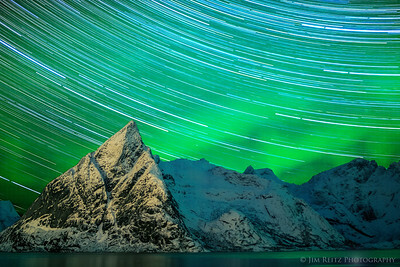 Star-trail long exposure during aurora borealis - Lofoten, Norway. 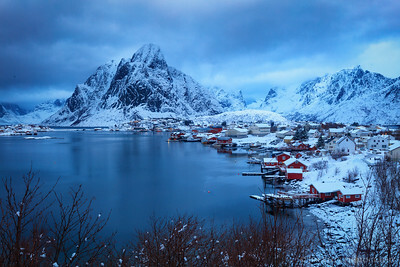 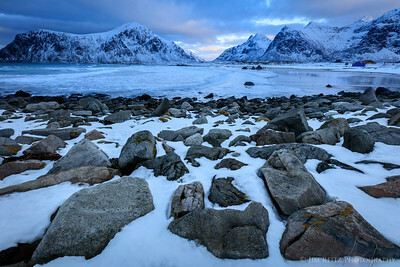 Some hints of sunlight break thru the clouds, in the small town of Reine in Norway's Lofoten archipelago. 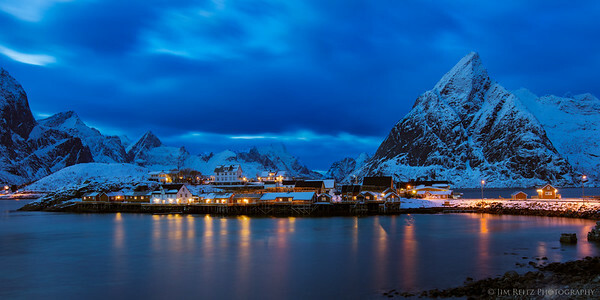 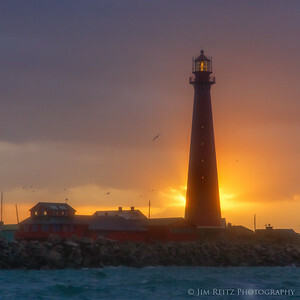 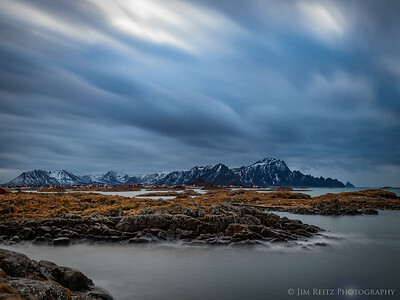 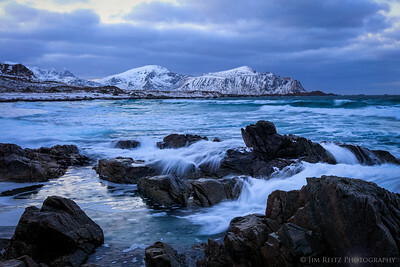 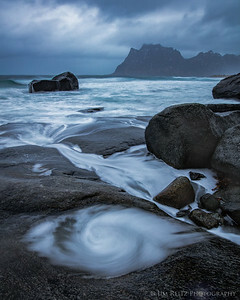 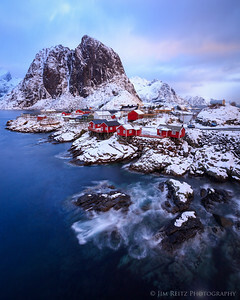 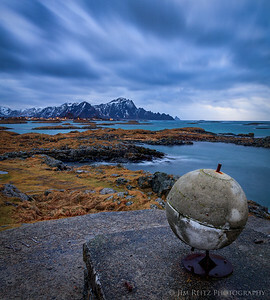 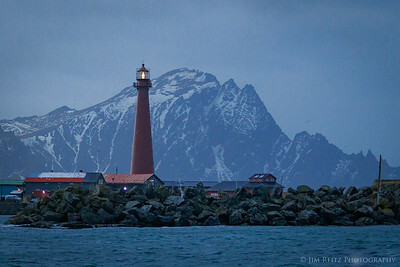 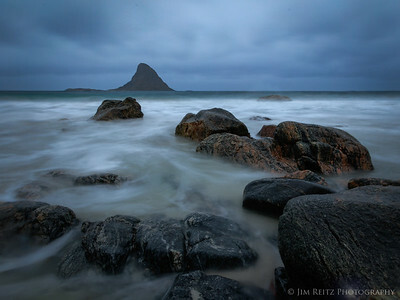 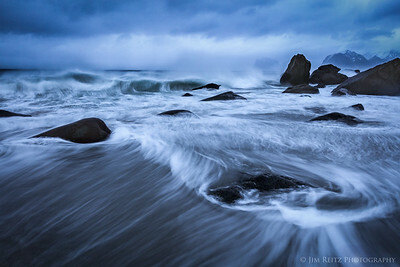 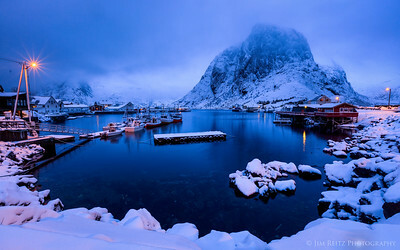 The fishing village of Hamnøy, in Norway's Lofoten archipelago. 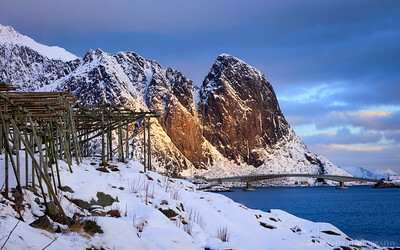 Fish-drying racks in Reine, Lofoten, Norway. 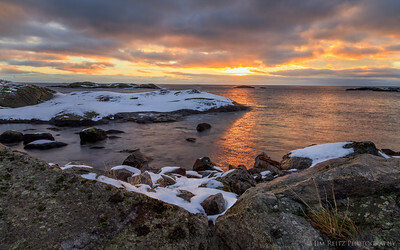 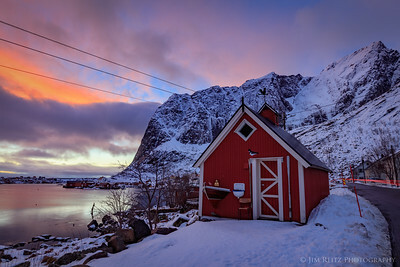 They produce "stockfish", which is air-dried (not salt-cured) cod. 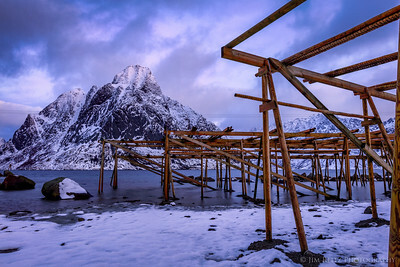 Fish are hung on the racks between Feb. and June (we were a bit early) to dry. 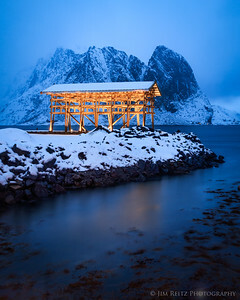 Boat shed on the small island/village of Sakrisøy in Norway's Lofoten archipelago.